There are so many fun wedding details from the shoes and the tables to the favors and the flowers. I know how much effort couples put into choosing and coordinating all of these little details that make their wedding day unique, so I always want to make sure I document them. Since this is the time of year when many brides are doing their wedding planning, I am starting a series featuring my favorite wedding details photos from 2008 for those in need of at little wedding inspiration. I decided to start with the most delicious wedding detail first: the cake! These are really nice cake shots! 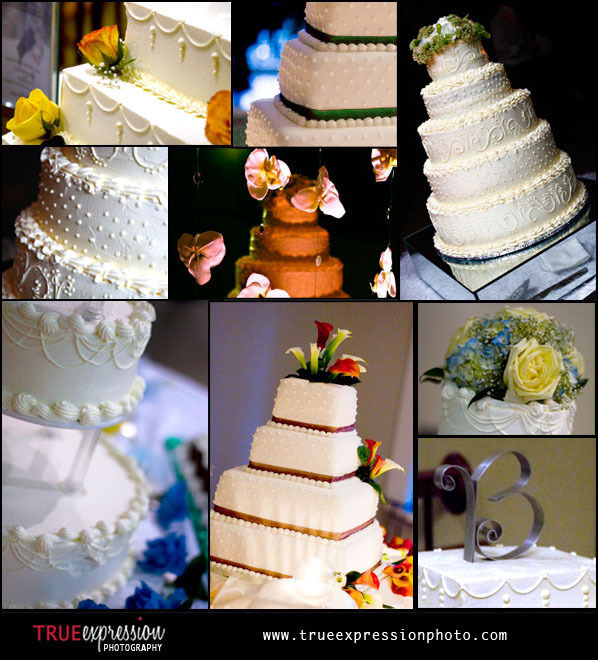 I think one word sums up the wedding cakes pictures above...YUM! Thanks for sharing, but now you've made me hungry!